When I first found out about my pregnancy, my two biggest fears were that of (i) losing my child due to a miscarriage and (ii) being discriminated against at work. For all the talk on gender equality in Singapore, I'll be honest and tell you that women, especially pregnant mothers, really do get it worse. Of course, there are some great workplaces, but there are also plenty of companies that aren't that supportive of pregnant workers. I personally did not announce my pregnancy until I was safely in the second trimester because I wanted to make sure my foetus was stable, and also because I feared that my employer would then find an excuse to terminate me due to having a worker disappear for 4 upcoming months (maternity leave). According to the Ministry of Manpower, dismissing a pregnant employee is against the law. The exception is if termination occurs due to disciplinary misconduct, but the onus is on the employer to undertake a thorough inquiry before deciding whether to dismiss an employee or take other forms of disciplinary action. 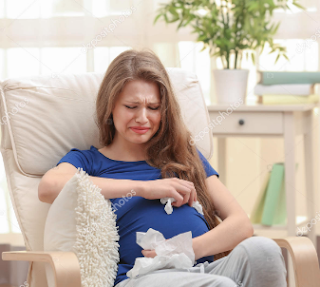 A pregnant employee who has been at her job for at least 3 months has maternity protection under the law, which means that if she is dismissed or retrenched without sufficient cause, the employer is still required to pay her maternity benefits. Of course, 50% of this is shared with the government, who pays for 8 weeks of maternity leave. But what most of you may not know is that there are plenty of covert ways to discriminate as well. So while a company cannot dismiss a pregnant employee...but employers can make the employee's life so hard and stressful that they're basically forcing the employee to quit. Here are 3 real-life stories from people I know who had this happen to them. Currently aged 32, mother to 1 child. 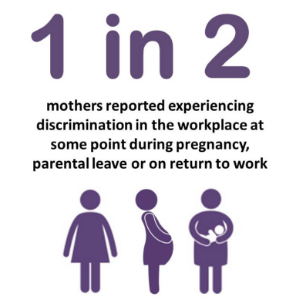 Q: How did you experience pregnancy discrimination in your workplace, and what did your employer do? I was 30 years old back then and had been working for the company for close to 2 years when I finally broke the news that I was pregnant with my first child (after I had safely passed my first trimester). While I enjoyed working there, it was a really unpleasant pregnancy journey in that workplace with zero support and those of us pregnant were basically staying just so we can get our rightful maternity benefits. It was my first pregnancy, and my boss appeared to be supportive at first, but then she started throwing hints at me to "reconsider my career options". This went on all the way until I hit my third trimester, when she started sending me out to cover events almost every week. I was then already heavily pregnant like a balloon, and everyone knew she was doing it on purpose as we have 5 of us in the team, but I was the only one she sent out most of the time. It was one of those moments where you either bite through the hardship or give up. I had to coax and convince myself that it was a good way to exercise back then just to stay sane. Then, in my third trimester, my boss called me in for an appraisal, and started saying that my performance was "below average" for the first time. She said that if I didn't buck up over the next few months (which was less than 1.5 months), they would have no choice but to ask me to go. Knowing that I was about to go on maternity leave, I knew without a doubt that my boss raised this up to cover herself (so that she can dismiss me when I'm back from my maternity leave). After all, there was no mention about my "below average" performance before that at all. As a result, I was super stressed out back then and it got so bad that my gynae said I needed some rest towards the last two weeks of my estimated delivery date. Q: What happened to you and your child in the end? I tried delaying my appraisal by taking hospitalisation leave, but the stress was real and while I was rehabilitating at home, I lost my first baby at week 39. The management was informed, and most of the heads of departments came to visit me (except for her, my direct boss and supervisor). Not sure if she was feeling guilty, but I didn't have much bandwidth back then to really care about her feelings as I was still grappling from the lost of my otherwise perfectly healthy baby, who was fine all the way up until all of this happened. Thereafter, during my maternity leave, I thought everything should resume back to normal (since I don't have a kid anymore, right?) but to my surprise, my boss was still pursuing this and asked me back to the office for the appraisal. I wasn't sure what's legal and what's not back then, but surely employees on maternity leave are exempted from this? When I went back for the appraisal, she hinted about how my current situation may implicate the entire team since I may not be mentally stable for a person who has gone through such chronic loss. Q: Did you stay or leave after your maternity leave ended? I was totally defeated by her perseverance and heartlessness, so I decided to go with what she wanted, and left right after my maternity leave finished. It has been proven on numerous occasions that my boss (who's my direct supervisor) isn't a big fan of employees with kids. To her, having kids means you spend lesser time at work. You are deemed as someone less productive in the team. Staying on would have only made my life tougher since she was so determined to get rid of me. For someone who had no qualms sending me out so often even in my third trimester, what else could she not do? Previously, I already witnessed a female colleague of mine getting transferred out after she was pregnant, for no particular reason. Q: As a working mother, what were your biggest fears while you were pregnant? My biggest fear is meeting unsupportive bosses again. I would rather be penalised for not doing my work properly, than be penalised for being pregnant. Q: If you could turn back time, what do you wish you had done differently? I shouldn't have let her take advantage of my kindness and willingness to prove myself to her. Since I needed rest, I should have just told her off firmly. I shouldn't have been afraid of her; nothing matters more than losing something more precious (my stillborn baby). If I could turn back time, I wish I had diligently recorded down those conversations with my boss and report to the management. There was already one miscarriage in the team before me (my colleague was literally bleeding at her desk while rushing some work for her)! Q: What do you wish your employer had done instead? Expectant mothers don't really need extra attention or sympathy, it is all about forward planning and letting us fit into roles that we can excel in at different points of our life. Currently aged 29, mother to 2 kids. My story is about what I was made to go through during both my pregnancies in the same workplace. During my first pregnancy, my female boss (EH) would always pretentiously show colleagues and clients as though she cared for me, by asking me to rest more, sit down and not walk too frequently. But it was only the start of my nightmares in that workplace. During Christmas 2016, when I was 9 months pregnant, EH instructed me to climb onto a chair and put up the deco on the wall, right before 6pm even though she was well aware of my gynae checkup appointment right after work. Despite me asking her if we could wait till the following week when my colleague returns from Shanghai so we can do it together (since it wasn't an urgent task), EH insisted on getting me, a pregnant woman close to delivery, to climb and do it. In my 32nd week of pregnancy, EH even had the audacity to ask me to go for an induced labour, just so I could return earlier to support her work. I explained to her that the baby's organs were not yet fully developed and doing so would lead to premature birth with higher health risks. EH replied that it is totally fine for my baby to sleep in the NICU incubator, even continuing her "joke" by assuring that my baby will surely survive and not to worry! After confirming the dates of my maternity leave with HR (based on the EDD provided by my gynae), together with forms that had already been acknowledged by EH, another blow came. Right on the very last day of my work before I was due for delivery, EH suddenly asked me to delay my planned maternity leave so that I could work on her Japan event (which she had left untouched to the very last minute). She even laughingly added that I should work until my waterbag bursts, and that she will surely assist by calling the ambulance and get the janitor to clean up the leaked water on the floor! On that very day, EH asked me to reschedule my baby's vaccination date. Her reason was not due to any urgent or important work, but ridiculously, because of an office building fire drill exercise. Having been with the company for 5 years, I was never instructed before that my physical attendance is of such importance (I'm neither the executor or planner) that applied leave needs to be suddenly cancelled just for it! Even after I explained to EH about the polyclinic appointments and what the postponement would mean, she insisted that I call the clinic and postpone my baby's vaccination. Returning from maternity leave was a nightmare, as I was often subjected to her unfair accusations that I was the one causing our team to be so busy due to my 4 months of maternity leave, even though I had properly handed over all duties and was even constantly replying emails during my leave period! It then got worse. Out of nowhere, EH decided to create a "family plan" within our department to dictate when colleagues are allowed to get pregnant. She indicated in her calendar that my colleague, J, should conceive at end 2017, whereas my next available date to conceive shall be decided by her on end 2018. By God's grace, we hit the jackpot once again and I became pregnant with my second baby in June 2017. Of course, this was against EH's "family planning" calendar dates, which I believe isn't even legal in Singapore in the first place. Soon after I informed EH that I was pregnant with my second child, my nightmare got worse. EH began banging her drawer loudly for numerous times without any rhyme or reason. She would throw tantrums out of nowhere (these were uncharacteristic of her during my previous time in the company). The discrimination was obviously levelled at me, for instance, every teammate was issued a new laptop except for me, even though my notebook had already been declared beyond repair by our IT department. The childcare leave which I applied for was purposely left unapproved by EH. When followed up, she denied ever receiving those leave applications due to a system glitch, but was later embarrassingly refuted by HR that there was no system glitch at all, who then further confirmed that all leave applications had been processed immediately to approvers. After much hesitation, I decided to finally escalate the unfairness of the matter to our Managing Director. However, instead of following our MD's recommendation to have a proper dialogue with the team, EH simply brushed off the feedback by telling our MD that I was going through post-natal depression. These went on and on...but thankfully, despite the constant work discrimination and stress I faced throughout those months, by God's strength, my second baby was safely delivered earlier this year in March 2018. My first baby was also well and safe. I did not listen to EH to induce labour early, obviously! I liked my job very much and really hoped to continue working in the company, but the constant discrimination and insulting remarks from EH eventually left me no choice but to leave after the end of my (second) maternity leave. I feared for my baby's health, because I was under so much stress. Even when I clearly delivered my work on time, EH would make unnecessary comments about my baby being the cause of my depression, which I never even had! I would have chosen to be firm and stand up to EH, telling her that mothers should not be allowed to go through such unnecessary treatment or remarks. I wish I had stayed firm and not been discouraged by her thoughtless and wicked remarks. I would also have filed a formal complaint to MOM, our company global HR and global compliance that such work behaviour should not be tolerated. EH to apologise for her irresponsible remarks and deeds, and that such practices should not happen again to the next pregnant colleague in our workplace. Currently aged 40, mother to 3 kids. Somehow I keep meeting bad bosses. For my firstborn, I had just started work at my new workplace when I found out I was pregnant. It took me a few weeks before I told my boss about it, and I informed her before the third month because I wanted to be fair to the company. But clearly, I was just being naive. She was really nice to me up until I told her, and once said to me and another new colleague that she was sooooo glad that we were on board. But after announcing my pregnancy, she turned cold and subsequently refused to pass my probation even though I had done nothing wrong (except for getting pregnant). I worked very hard when I was there, and knocked off work late almost every single day (9 to 10pm). I even had to work on certain weekends, which I did without complaint. For certain events, other managers were granted a replacement off, but when I asked, she said I shouldn't be asking for it. So I kept quiet. I delivered my firstborn safely, but in another workplace, I encountered pregnancy discrimination again and halfway through, my third baby suddenly stopped growing. I thought it could be stress because it was really not easy working for my boss, and when another miscarriage happened to another one of my colleagues later on, I was like, gosh, our boss really was the common factor. She even gave me so much crap and told me she wanted me to stop pumping breastmilk during office hours. I lost my baby while working for her, and till today, I still feel she's the cause of my loss! For my first job, I chose to leave. Before the end of my maternity leave, my boss called me and told me she had to demote me because I was not around for 6 months (4 months of maternity + 2 months for hospitalisation leave). While I was clearing my stuff from my office desk, the assistant HR director came and apologised, saying that this is not their practice. I asked what they were going to do to her, and he said they had already spoken to her and she's not allowed to approach staff like this. Yet, this did not affect her in any way. She's still a high flyer today. That I would be replaced. I only wish I had reported her to MOM, or brought it up to higher management instead of taking it in quietly. I wish they had been more understanding. I was pregnant with my first child and was then not sure about everything, even having panic attacks so often that my husband, who originally wanted me to stay on and claim my benefits, got so worried that he asked me to quit for the sake of my sanity. I held on because I really liked my job. Who would have known? Final note: In all my years of blogging, this article has probably been the most difficult to write, just because of all the emotions and level of unfairness that I felt for these women while interviewing them and hearing their stories. All these stories are real and by real life Singaporean mothers, who had faced pregnancy discrimination in their workplaces. Yes, pregnancy discrimination is more real than you think it is. As for myself, I'm still waiting to see what will happen to me at my workplace. It has been even harder and more stressful lately, but I'm sincerely hoping that the company I'm with will not do anything nasty to me and discriminate me for being pregnant. hmm all along i thought female would be more supportive towards female but i guess not..
Don't know what to say except anger. This is Sinkapore. I was asked to return to work the next day after my miscarriage. All their evil bosses were female?!?! You mentioned that t has been even harder and more stressful lately for you. The signs appear to be there. You have a choice to make at this juncture before it's too late. I am not in position to advise on your next course of action. I believe that you know what is the best for you.